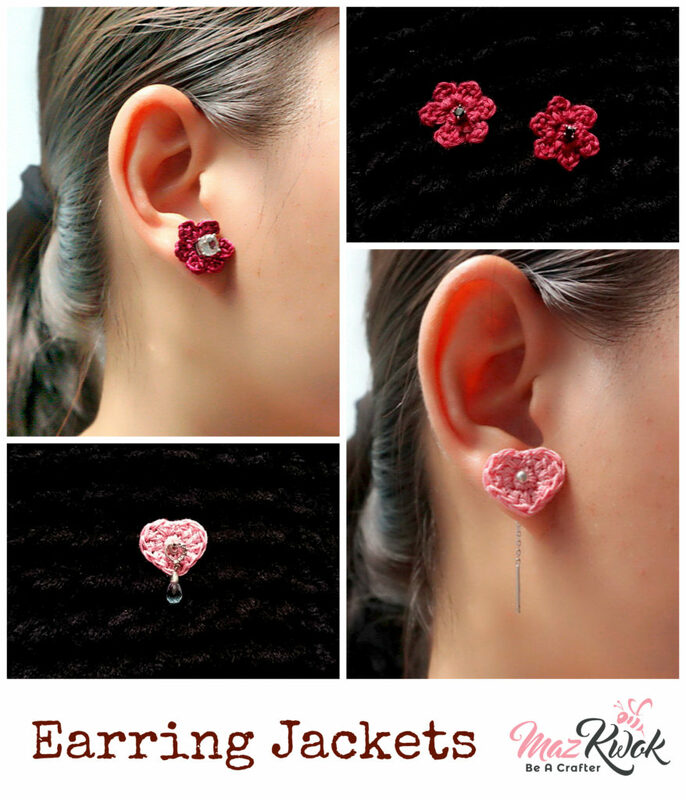 Note: The crochet earring jackets pattern is pretty simple and easy. 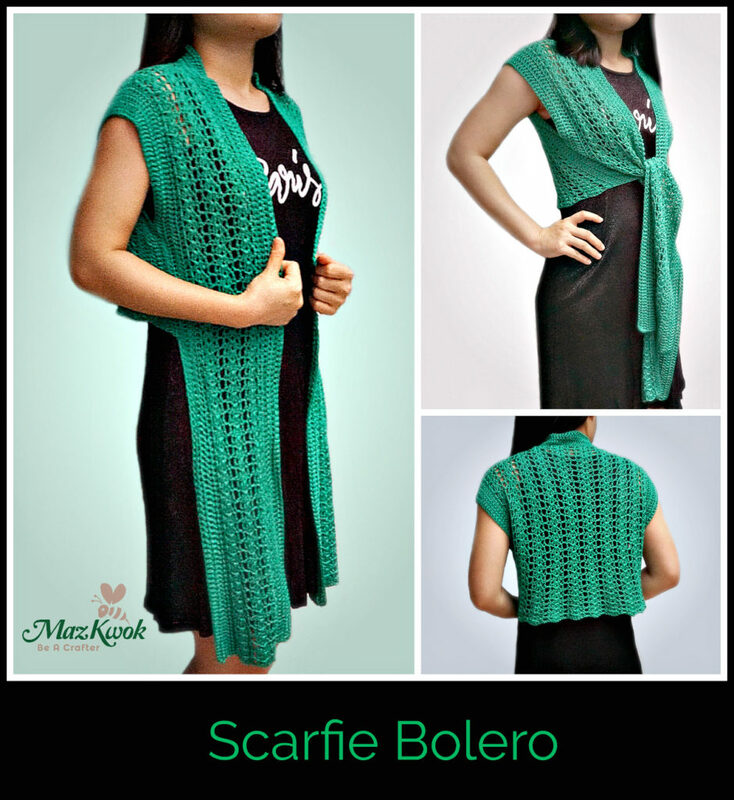 You can use any size of crochet thread to make these, just use a crochet hook that matches. R1: Form a magic ring, make 6 sc into ring, sl in 1st stitch to join. R2: Ch2, dc in 1st stitch, ch2, sl in same stitch, ( sl in next stitch, ch2, dc in same stitch, ch2, sl in same stitch ) x 5 times around, sl in 1st stitch to join. R1: Form a magic ring, make 7 sc into ring, sl in 1st stitch to join. R2: ( sc, hdc ) in 1st stitch, 2 dc in next st, ( hdc, sc ) in next st, dc in next st, ( sc, hdc ) in next st, 2 dc in next st, ( hdc, sc ) in last st, sl in 1st stitch to join. Written pattern and photos copyright Maz Kwok 2019. Please do not repost, republish or sell the content or photos as your own. You can sell the items you made from this pattern as long as you use your own pictures and give back proper credit. Please do share this pattern with others by link. For more info, visit my Copyright page.